You know how I feel about “Best Of” pizza lists, don’t you? Oh, well I don’t really like them. But I must say that any list which has Di Fara on it has to be at least some what legitimate. Travel + Leisure just came out with a piece featuring 11 must try slices in the USA. 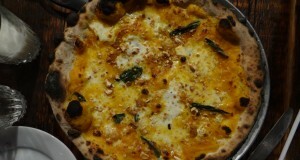 New York pizza places on the list are Co, Motorino, Famous Joe’s and Di Fara. Pretty solid pickings. Nothing else on the list stood out, but if I’m ever up skiing at Stowe in Vermont, it appears that I must try Piecasso Pizzeria & Lounge. And the next time I’m back home in Maryland, I plan on hitting up The Liberty Tavern in Arlington, VA. I really like the last paragraph of this short piece (which I’ll include below) for a few reasons. First, I absolutely believe in “hometown bias.” In fact, I just wrote about it last week (But I’d like to think I suffer from something that will henceforth be known as hometown bias). I thought I’d invented this term, but apparently there are others who suffer from the same symptom. Secondly, I like that fact that they aren’t saying “hey — these are the best places in the country.” It’s more of a picking and choosing. 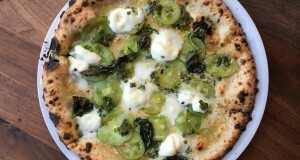 Any pizza list should note that pizzerias will be skipped and overlooked, as a single list of less than a dozen places cannot be all encompassing. Thirdly, well… the final seven words. Now, that’s how you end an article. 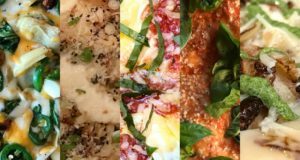 While this list has a bit of hometown bias (four favorites are located in the greater New York area), and we skipped over traditional “apizza” parlors in New Haven in favor of a modest two-store chain in Providence,RI, ultimately the pizza makers who made the cut all have one thing in common. Nobody delivers. And yet, they all do. Previous: L’asso: Too Cool For School?